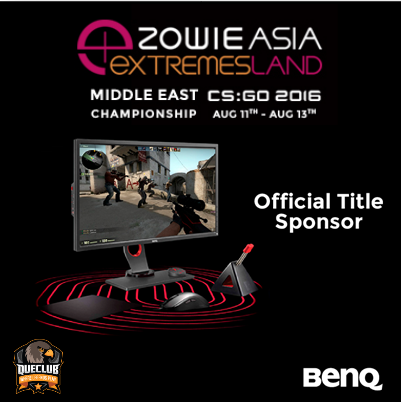 The eXTREMESLAND ZOWIE Asia CS:GO 2016 Middle East Championship will be held in Dubai at Que Club between 11th till 13th of August with a Prize Pool of AED 37000. The Winning team will battle it out during the Asia Grand Final held at China in September to contend for the prize pool of $100,000. Registration is open till 31st July 2016. All teams are invited and need to register as soon as possible. This is an offline tournament and open to all Middle East countries. All teams travelling from other Middle East countries, to Dubai for the Middle East Qualifiers are responsible to pay for their own flights, visa & hotel costs. BenQ Middle East will only be responsible for the cost of flights, hotels and visa for the Winning team to travel to the Zowie eXtremesland Asia Cup Finals in Shanghai, China. The Winning team will need to travel for the Asia Cup on 21st of September till 26th September. Tournament date is 22nd till 25th September. All teams and players are invited and need to register as soon as possible. 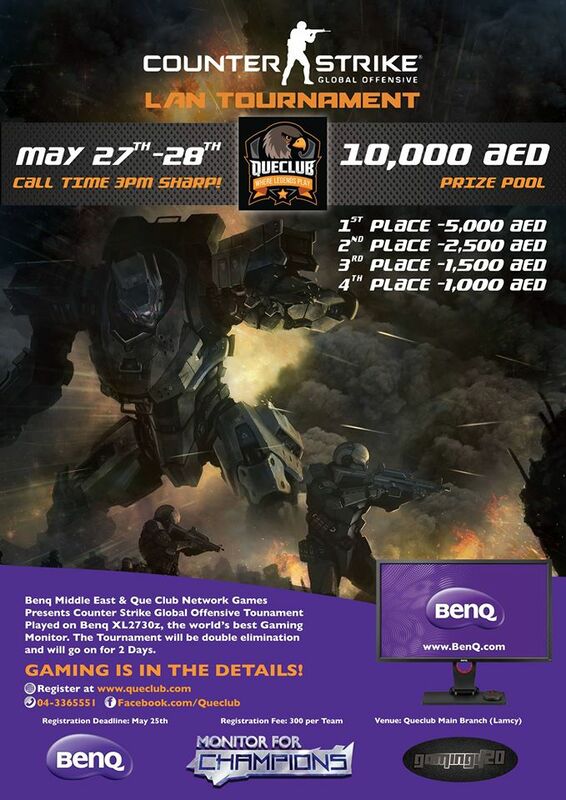 QueClub Network Games and Benq Presents Counter Strike LAN Tournament 27th-28th May 2016. Venue: Lamcy Plaza Main Branch . Registration is open till 25th May 2016. 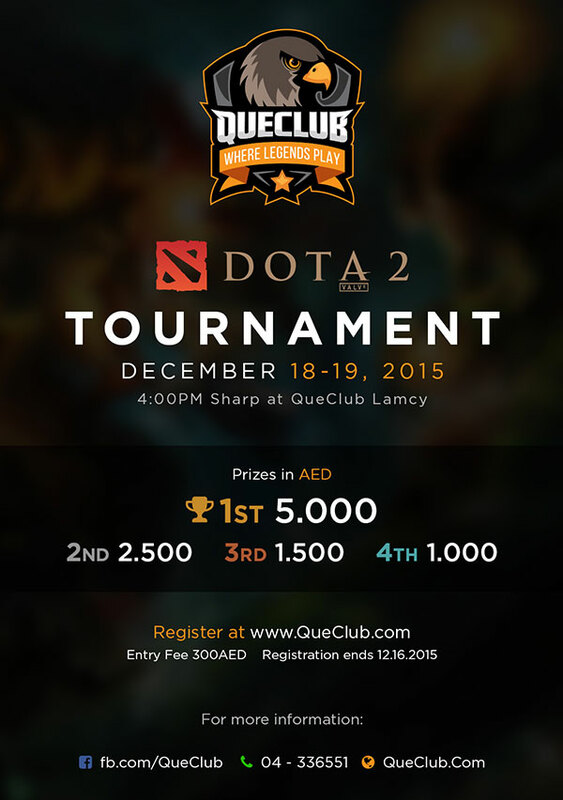 QueClub Network Games Present DOTA 2 Tournament this coming 18 & 19, December 2015. Prizes: Champion: 5,000AED, Second Place: 2,500AED, Third Place: 1,500AED, Forth Place: 1,000AED. 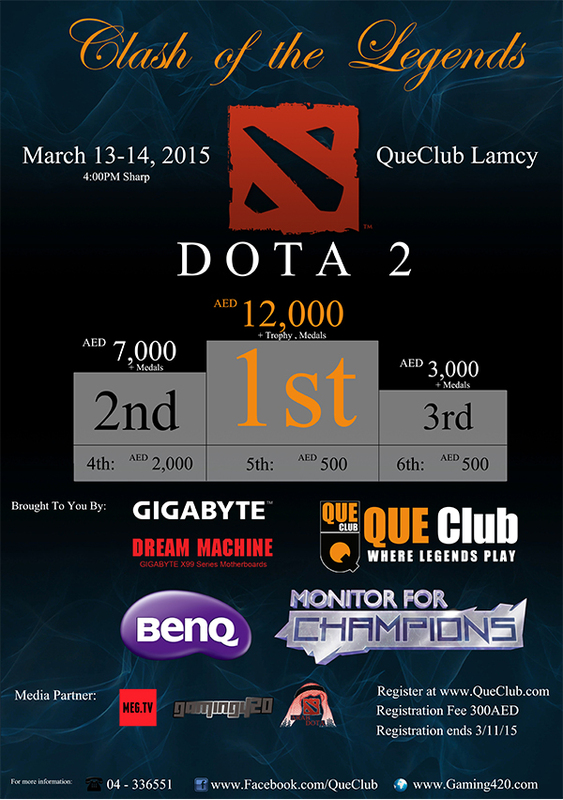 QueClub Network Games, Benq and GIGABYTE Present 5 Vs 5 DOTA 2 LAN Tournament this coming 13-14 March 2015 with a prize pool of 25,000AED. Prizes: Champion: 12,000AED, Second Place: 7,000AED, Third Place: 3,000AED, Forth: 2,000AED, Fifth: 500AED, Sixth: 500AED. Registration: is open since the day of announcing, tournament Registration will close in 11th of March 2015. Entrance Fee: 300AED for pc time equivalent to 7 hours each player. LATE REGISTRATION WILL NOT BE ACCPETED!. Tournament will be captain’s mode. All captains must be here at 3:00PM. All teams must be here at 3:30PM Sharp. All teams that arrive 4:01PM or fail to attend the tournament will receive penalty. Each game must start at exact 4:00PM any team not complete will receive penalty. While the tournament is going on manager and coach of each team only is allowed to watch behind them, to help the players have highest amount of concentration. Tournament will be displayed on cafe lounge. GOLDEN RULE: THERE WILL BE NO TALKING OF ANY KIND BETWEEN TEAMS, only between team players. No team member is allowed to have verbal communication with the other team while the game is going on. Any Team that receives 2 warnings will be disqualified from the tournament. Players have rights to pause the game if needed. Be sure to announce the pause in all-chat before you pause. The reason for pause must be reasonable. Both teams must agree on resuming before resuming the game. If a player disconnects, the player’s teams should pause the game right away. Rules can be change during the tournament if admin consider it necessary. Possible changes will of course be announced. Admin will always have the final word. © 2016 Copyright by Que Club LLC. All rights reserved.